Welcome back to the Advanced Garage blog! In many cases, our garages in the Sacramento area have become the proverbial junk drawers of our homes. Not sure where to put something? Throw it in the garage — only to later wonder where said item has gotten to or why your garage is a jumbled mess of disorganization. It’s easy for spaces like our garages to become a mess, especially if you don’t spend a lot of time there. 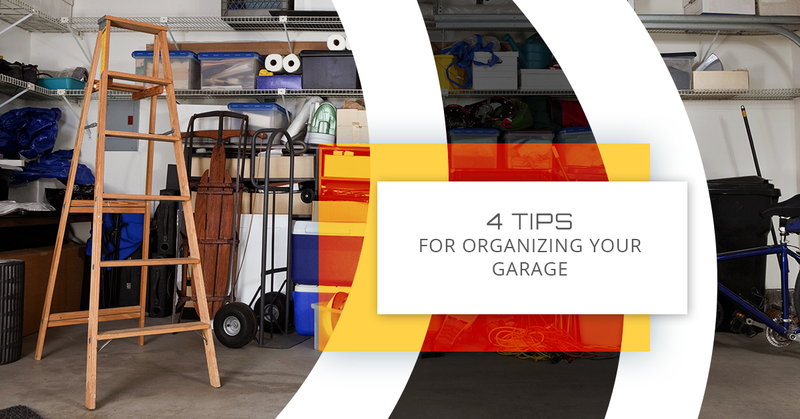 Today on our blog, we are going to give you tips for organizing your garage and keeping it that way. Installing custom garage cabinets isn’t the “solve-all” solution to your organization woes, but it definitely will make a big difference — why else would we offer custom cabinet options? Custom garage cabinets can allow you to not only better organize your garage, but protect your tools, camping gear, decorations, and other odds and ends from dust, dirt, and pests commonly found in garages. Cabinets give you a place for everything and, if you have Advanced Garage install your cabinets, they will look good for years to come, due to highly-durable materials that they are constructed from. Learn more about the possibilities that custom garage cabinets can provide you in your Sacremento home on our website or keep reading to learn more about effective garage organization. Removing these items may free up a lot of space that you didn’t think you had and allow you to make better use of your garage space! What do I want to keep in my garage? What do I use my garage for? What organizational items do I need to achieve my storage goals? Once you know what you want to have in your garage, it’s time to install custom garage storage! We suggest talking to a garage storage expert at Advanced Garage to not only get advice for organizing your garage, but also to know the possibilities for your space. You may be surprised with how much space our garage storage solutions can give you. Next, we suggest you adopt the “put it back where you found it” mentality. Though most of us adults have developed healthy habits to keep our spaces clean and organized, it doesn’t hurt to have a reminder. Regularly putting your processions back in their place will not only make you happier, but allow you to better enjoy your investment of money and time spent organizing your garage. Ready to Have an Organized Garage? Advanced Garage is in the business of helping homeowners and businesses in the Sacramento area have organized storage spaces. By providing various types of garage storage solutions, Advanced Garage can accommodate a variety of storage needs. Whether your garage is the place where you tinker on your car, store your camping or biking gear, or where you work on your miniature alpaca sculpture project, we have a storage solution for you. Learn more about our custom garage cabinets and the other options we provide on our website!